The search begun two years back , beautiful mountain scenes near Nagpur, on the road connecting Nagpur and Triyambkeshvar. 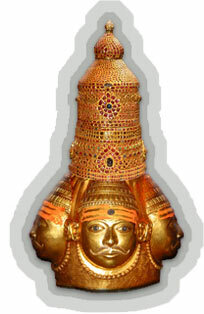 Triyambkeshvar is one of the twelve renouned jyotirlingums. We had to perform some Kalsarpdosh prayers there. The small town surrounded by bluish mountains, and black clouds in the sky, had everything encrypted in the name of Shiva. The holy temple had an amazing statue of lord Shiva. It is the only one India, where all the three supreme deity were shown under one statue, which they call lord Triyambakeshvar, the one who is all of them; Vishnu, Shiva and Brahma. Many found their Shiva there, i could see their eyes, but for me the search just begun. Shiva, the god of transformation, he destroys and transform. He is god of war, he is master of all mother goddesses like Shakti, Kali,Durga etc. He is god of ghosts and demons.He is the one holding poison in his throat and has ash all around his body. He is the one with third eye. What Shiva signifies, is it just a pictorial representation of a god or there exists something hidden in the depiction of lord Shiva. I got almost zeroed when i read about what Swami Ramakrishna Paramhamsa said about Shiva, he said that he could see Shiva standing near to every burning pyre, in the form of an ascetic. The search got momentum after reading Da Vinci Code. It was like i could feel the codes hidden the description of Shiva, after reading the Dan Brown’s master piece. Shiva the destroyer, what could be perfectly matched to this? Zero, yes that is zero. Do Shiva signifies zero? Zero , the destroyer in any equation. Zero, also signifies, neutrality, the equals in positives and negatives. Strangely Shiva too signifies neutrality, in his depiction of Ardhnarishwar, of half man and half women. Zero, though in an amazing way, depicts annihilation, the process when matter and antimatter combine to form immense energy and leaving behind nothing, zero. Also, why the symbol of zero is circular?Circle in its geometric form represent annihilation, it has symmetry of lines passing through it. Also, remember the three supreme form of energies in universe,according to Hindus, they are Shiva,Vishnu and Brahma.The Triyambakeshwar shows all the forms as a form of one god,all three as a part of one Lord Triyambakeshwar.Triyambakeshwar is also a form of Shiva, so does that mean that all three supreme gods are actually a part of one Shiva, or adding them up, we have one Shiva, the zero. Strangely, everything in the universe too add up to form zero, according to science.There is neutrality in universe. Does this not what Triyambakeshwar shows? I can’t say,it too premature to say. Few days back, we went for a small journey to Himachal,god’s own land. Amazingly huge mountains, icy tops. I saw a Aghori saint there in one of the temples, ash all around his body, and body language of a small child. His eyes reminded me of ascetic depictions of Shiva, like he does not need anything, he does not care about anything.Asceticism, the feeling of having nothingness, the feeling of caring nothing material, nothing, means zero.I got another point to add to my logic behind Shiva. Sitting beside him was a below ten years old child, begging for food. No one there was actually interested in helping that child, but that saint went ahead and gave the child all the fruits he had been carrying, which left him with almost nothing. Asceticism, was that asceticism?What ever that was, one thing was sure that it was not zero, and there I lost my Shiva again, but probably the child got his.